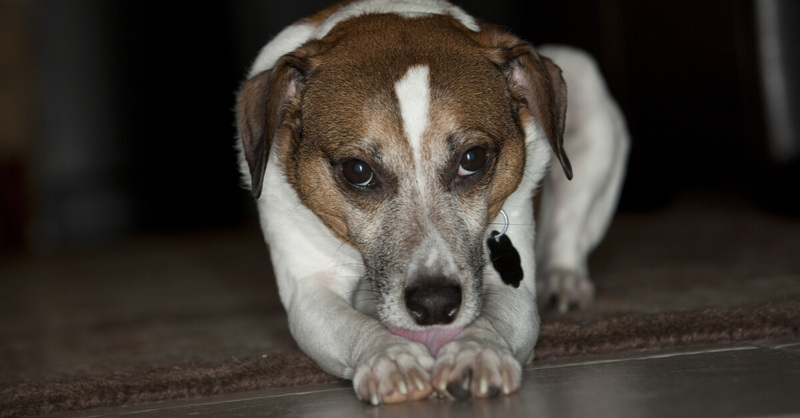 Licking and biting of the toes and paws is a common behavior among dogs. While some degree of licking is considered normal, dogs with red, swollen paws or chronic saliva staining likely have an underlying medical problem. 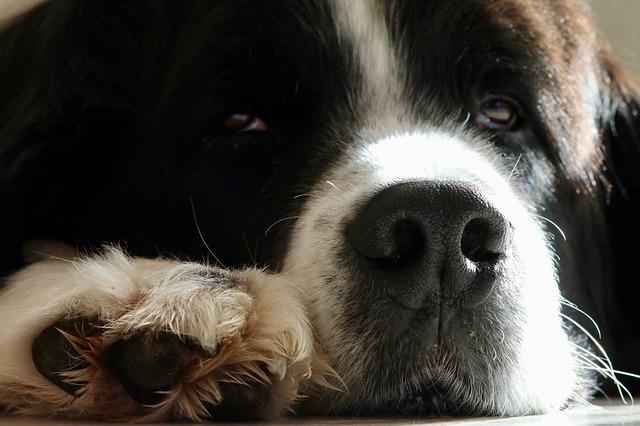 There are several reasons a dog may chew their paws such as dry skin, wounds, growths, irritants like burrs or ticks, anxiety and allergic skin disease. Whatever the cause of the irritation, paw-chewing can lead to pain, limping and secondary yeast or bacterial infections. It is important to consult with your veterinarian about your dog’s diet, lifestyle and environment so that he or she can determine the best treatment plan. While only a professional can treat serious veterinary issues like lick granulomas, tumors of the paw, skin infections, and chronic allergies, there are things you can do at home to reduce paw licking caused by dry skin or contact dermatitis. 1. 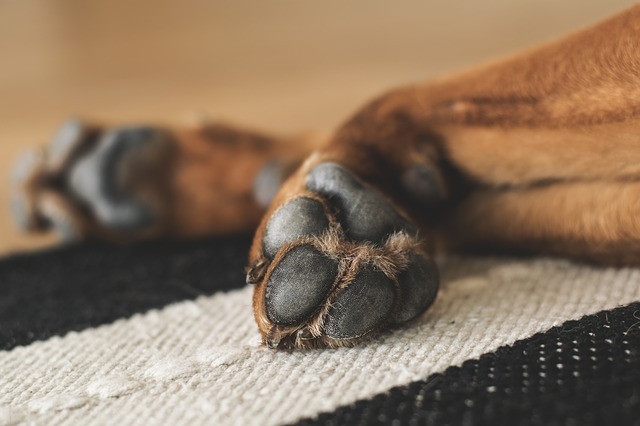 Soothe your pup’s paws with a natural topical solution. Every time your pooch walks outside, he or she comes in contact with potential allergens and irritants like pollen and lawn chemicals. After cleaning your pup’s paws with a mild soap, trying spraying a natural topical anti-itch solution, such as this one, to your dog’s paws. 2. Reduce allergen exposure. In addition to outdoor allergens that travel inside on our clothes and shoes, several indoor substances can also aggravate your dog’s skin. Dust mites, pet dander, cleaning chemicals and cigarette smoke are just a few of the many potential household irritants. While there is no way to completely eliminate certain molecules, keeping the dirt and dust to a minimum and frequently laundering your dog’s bedding can work wonders. 3. Weather proof your home. 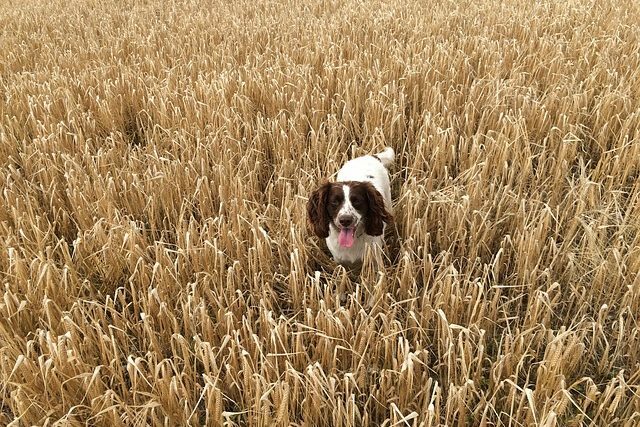 Hot, moist weather can be particularly difficult for dogs with dermatitis, while winter’s utter lack of humidity can wreak havoc on dry-skinned pups. Keep your home soothingly air conditioned from the summer heat and use a humidifier to reduce irritation in dry winter conditions. 4. Change up their diet. The more wholesome your pup’s diet, the better equipped their systems will be to fight off allergens and external irritants. If your dog has food sensitivities, be sure to check labels carefully to ensure you are feeding an allergen-free diet. Consult your vet about whether a limited ingredient, grain-free diet is right for your pooch. 5. Add an Omega fatty acid supplement. Omega-3, omega-6 and omega-9 fatty acids are derived from fish oils and plant-based sources. They benefit your dog’s skin by helping to keep their own natural oils at healthy levels and acting as anti-inflammatories to reduce the intensity of allergens. 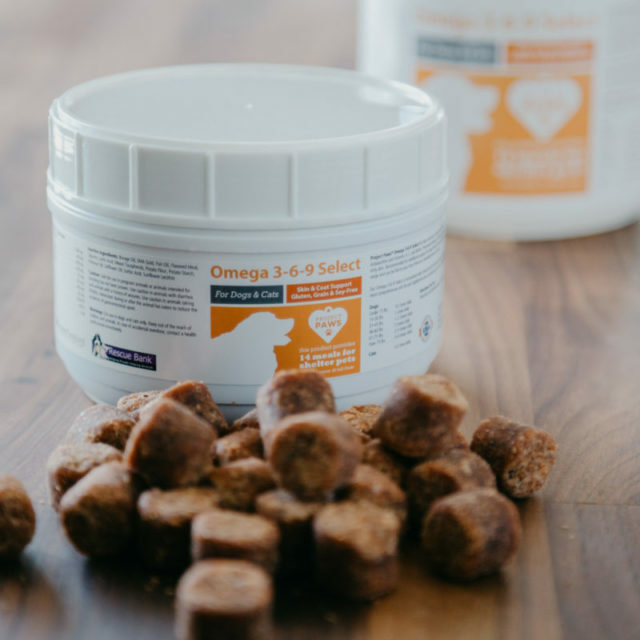 Project Paws® Omega-3-6-9 Select soft chews are excellent sources of omega fatty acids and have been recently revamped to contain krill meal rather than the salmon oil commonly used by other brands. Krill meal packs a significantly more concentrated and pure source of omega fatty acids, making it the superior choice. The new formula was also designed to allow pups with food sensitivities to reap the skin-nourishing benefits of omega fatty acids without the risk of irritation. These delicious treats are now 100% gluten-free, grain-free and soy-free!